As is occasionally my wont, without any intel available I lazily stipulated on Twitter that I thought the announcement might be about either a sale of the company to a bigger brewery or some kind of venture related to legalized cannabis. As it turns out, the announcement was actually that Cam Heaps, Steam Whistle’s lone remaining co-founder, had announced his retirement from the company. 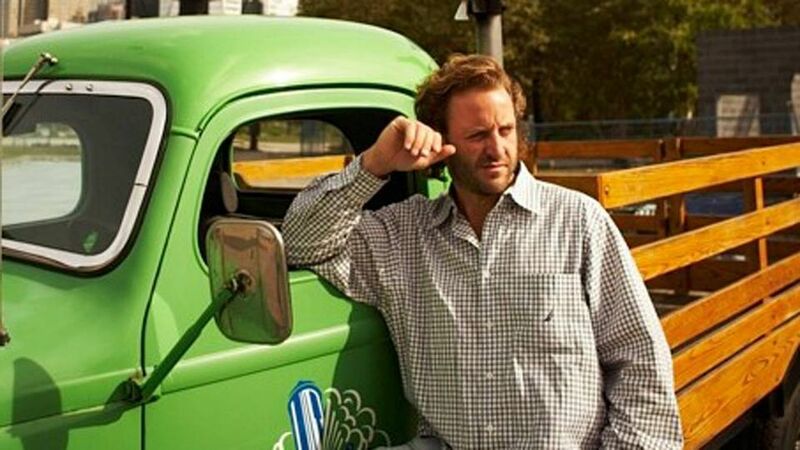 Cam Heaps, CEO and co-founder of Steam Whistle Brewing, has successfully implemented a new strategic framework for the company and with that accomplished has decided to retire effective November 1st. Cam has been integral in helping build Steam Whistle into one of Canada’s leading breweries, and has been a passionate advocate for the Craft Beer industry as a whole. Cam will continue to provide strategic direction for the company as an enthusiastic member of Steam Whistle’s Board of Directors. The news comes just over a year after Greg Taylor, one of the other co-Founders of Steam Whistle, and Sybil Taylor, the company’s Communications Director (and one of the most helpful and candid communications or marketing professionals I’ve encountered in seven years of beer writing, FYI) retired from Steam Whistle in July 2017. Greg Taylor was later named the President of Nuuvera, a global cannabis company that has been on an acquisition spree in the past year. Heaps, Taylor, and Greg Cromwell launched Steam Whistle in 1999 and were the famous “Three Fired Guys” who built the company after leaving Upper Canada Brewing (and still get a nod with the “3FG” etched on every bottle). Cromwell left the company long ago, and with Heaps leaving, it means none of the company’s founders remain involved in Steam Whistle’s day to day operations. While, in my opinion, Steam Whistle remains one of Ontario’s (if not Canada’s) strongest independent beer brands, I have a tough time understanding what this move might mean for the company that used to do “one thing really, really well.” I’ve always been a staunch defender of the company’s Czech-style pilsner, but a recent — and in my opinion ill-advised — side venture to launch Von Bugle Brewing, another single-beer brewery focusing on a just-OK Munich Lager, means they’ve veered from that “one thing” that was for so long their mission statement and one wonders if perhaps they’ve lost their way. My tweet that started a conversation today predicted today’s Steam Whistle announcement might be about either a buy-out or a cannabis venture. And while that’s not what this announcement was, in light of Heaps’ departure, I actually feel a little more strongly that one of those outcomes might now be possible. Big beer companies tend to have better luck putting a dollar amount to a brewery when the people who built that brewery aren’t around any more and I still think the company, based in the Roundhouse building in Toronto and boasting nationwide distribution, is an attractive option to someone like Molson or Heineken who might be looking to grow their fake craft credentials. Also, given Taylor’s chosen second career, Steam Whistle’s connection to cannabis, just two days before it becomes legal in Canada, is now confirmed. Will my predictions pan out now that Heaps is gone? Time will tell. Ace Hill Brewing Company – The Holt-Renfrew model-led company has long been rumoured to be offering their beer to licensees at unsustainable prices, which to me suggests they want to build a large distribution network to at least appear attractive to potential suitors. The company is clearly very, uh…brand-conscious and its hard to believe its contract-brewing founders would turn down a buy out deal on some notion of remaining independent. Collective Arts – With a great brand, great beers, and grand designs for expansion (that long-rumoured Brooklyn brew pub and some overt flirting with New York, for example), it seems like Collective Arts might also be trying to build something that looks appealing to big beer. They also offer plenty of capacity to would-be investors looking to expand distribution in the Hamilton area. Amsterdam Brewery – They’re just so big that it always seems possible. It’s a long-established brand with essentially turnkey access to huge distribution. Surely the big guys have come sniffing around before, so who’s to say they might not finally make an offer big enough some day? Barley Days – Because I feel like, at this point, they simply need an out. First guess would be Barley Days – similar situation to Trafalgar. I know a few brands currently on a buying spree that I assume are eyeing them up.